Al Milgrom, co-creator of Firestorm the Nuclear Man, comes through again for FIRESTORM FAN! 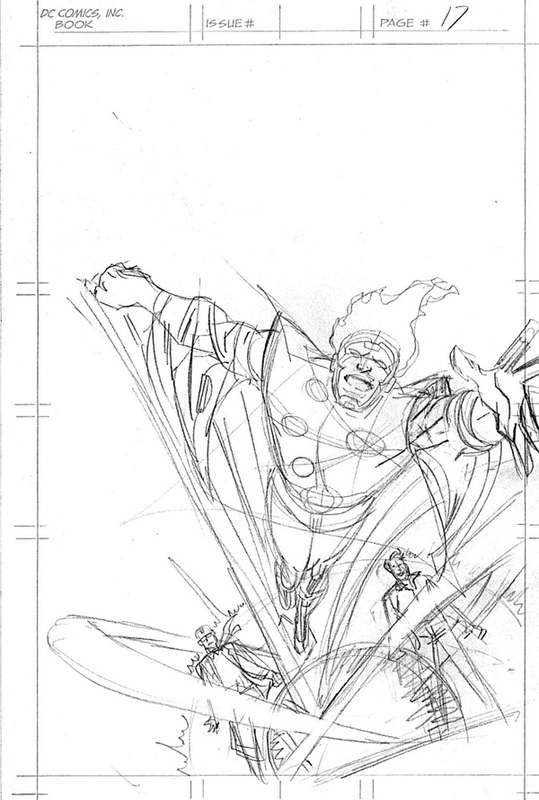 Al has supplied us with some exclusive never-before-seen drawings from the early days of Firestorm. 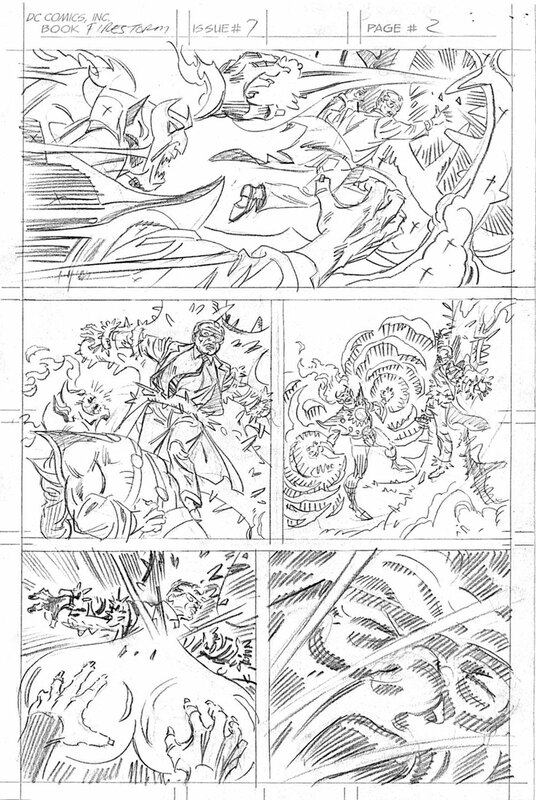 Including a couple pages from the unpublished Firestorm the Nuclear Man vol I #7. Our sincerest thanks to Al! This first piece from 1977 consists of early character designs Al worked on for Ronnie Raymond and Doreen Day prior to Firestorm the Nuclear Man vol I #1. 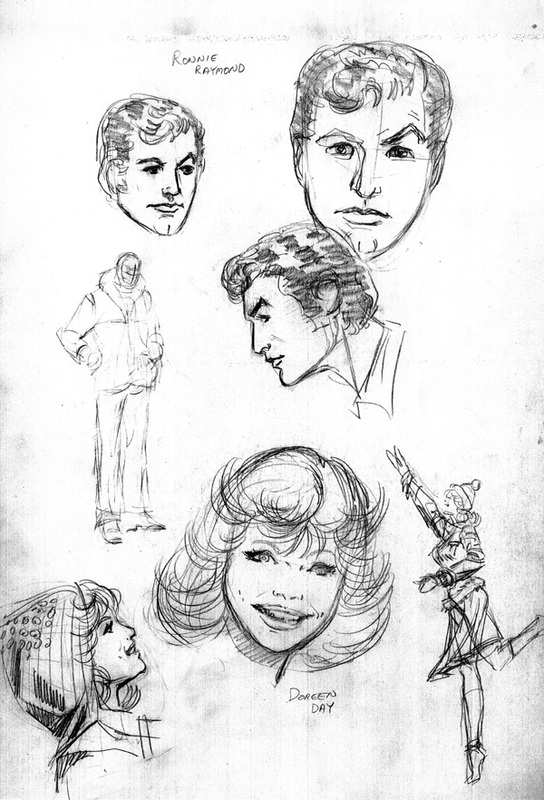 Ronnie looks a little like Snapper Carr and Rick Jones in these early rough sketches. The rough sketch of Doreen in the winter clothes is pretty consistent with the way she was dressed in #1. 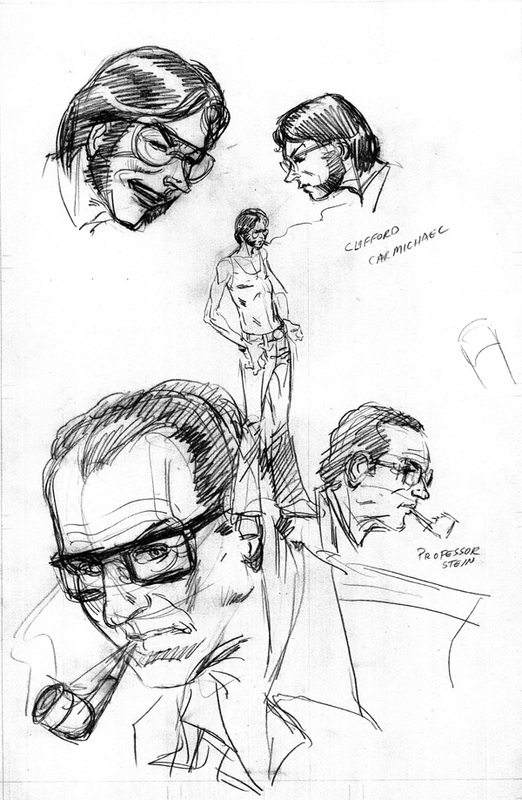 Here are some early character designs for Professor Martin Stein and Cliff Carmichael. The Professor is pretty much spot-on for his final look. For Cliff, I love that shot of him in the wife-beater smoking a cigarette. It shows his nerdy side, but also demonstrates that he can be a wiry tough guy. Next up are the first three pages from the unpublished Firestorm the Nuclear Man vol I #7. You may recall we displayed the unpublished cover to Firestorm the Nuclear Man vol I #6 a while back. Additionally, you can read the entire unpublished issue #6 online. However, very little is known about Firestorm the Nuclear Man vol I #7. The end of issue #6 boldly proclaimed, “Next Issue: The Reptile Man!” From the FIRESTORM FAN interview with Gerry Conway we know that “The Reptile Man” was most likely intended to be Killer Croc. However, since that issue was never published, Gerry instead introduced the character as a Batman villain. The first page below was published previously in Back Issue Magazine #20. This was the splash page for Firestorm the Nuclear Man vol I #7. The subsequent two pages are being presented for the first time ever here at FIRESTORM FAN. In these pages you can see Professor Martin Stein’s subconscious is haunting him with images of Firestorm. At this time the Professor was unaware of the part he played in the Firestorm composite being. He simply thought he was suffering from blackouts. I love page three especially! The art is so amazing you don’t require any dialogue or narration to understand it perfectly. Click pages 2 & 3 to enlarge. Finally, we’ve got one more never-before-seen piece. This is a great general image of Firestorm. Al wasn’t sure if this was originally intended as a rough design for the cover of Firestorm the Nuclear Man vol I #1, a Who’s Who entry, or possibly an in-house ad. 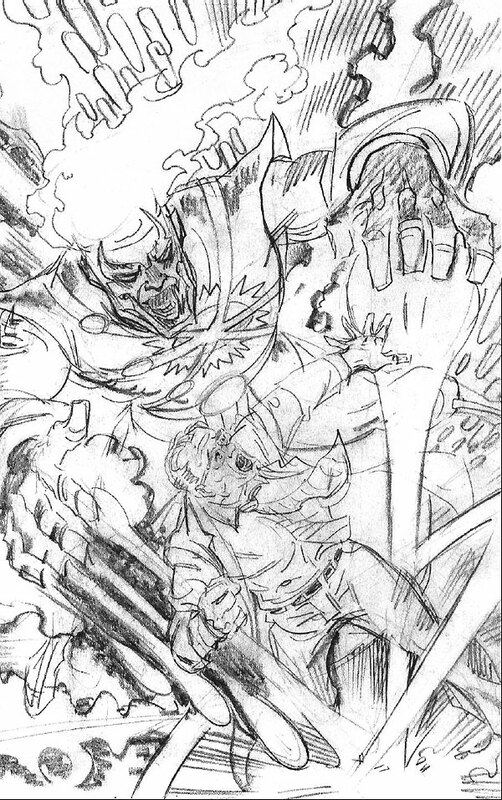 Regardless, it’s a great looking piece of Ronnie, the Professor, and Firestorm! My thanks again to Al for this wonderful opportunity! In addition to co-creating Firestorm, Al Milgrom is well known for his ten-year run as editor of Marvel Fanfare; his long involvement as writer, penciller, and inker on Peter Parker, the Spectacular Spider-Man; his four-year tenure as West Coast Avengers penciller; his long stint as the inker of X-Factor; and much, much more. For a complete list of his works, visit the Comic Book DB. Al has created an amazing volume of work and stays busy even nowadays. If you are a fan of Al Milgrom’s work, there are opportunities for commissions. 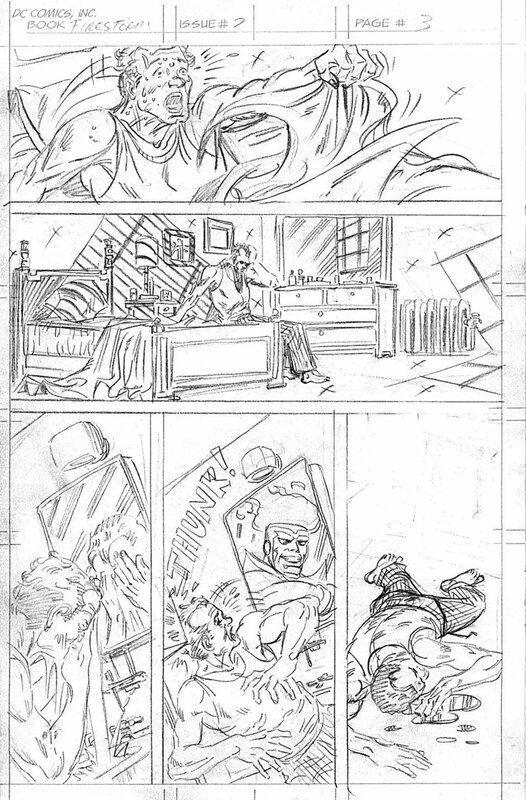 Be sure to check out THE ARTISTS CHOICE for all the details on Al Milgrom commissioned sketches. Posted in: Al Milgrom, Comic books, Firestorm #01: Original (Ronnie/Martin), Firestorm comic vol. I, Professor Martin Stein, Ronnie Raymond. Wow, wow, wow, and thanks! Thanks to Shag and Al for sharing this stuff! I love getting behind-the-scenes sneaks like this, and this one is especially wonderful! Holy cow!!! GREAT JOB, SHAG!!!! Your site is just fantastic! After going through it awhile back, it made me go out and pick up the entire original series at a comic show I went to a few weeks ago. I forgot how much I loved the original Firestorm!!! Thanks for all the work you’ve done and continue to do! That splash page is a thing of beauty. I really like how sinister Firestorm looks in it. The character work on Doreen and Cliff, which really do convey a ton of emotion and personality even from such a rough sketch. The last sketch is from an in-house ad that ran in various DC Comics. I’ll see if I can dig up a scan so you can see the final version. Ever notice that the bowl of Martin’s pipe, with the smoke coming out, is a motif that foreshadows the shape of Firestorm’s headgear, and flaming head?